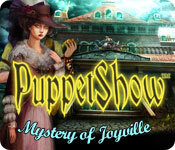 PuppetShow: Mystery of Joyville is rated 4.0 out of 5 by 63. 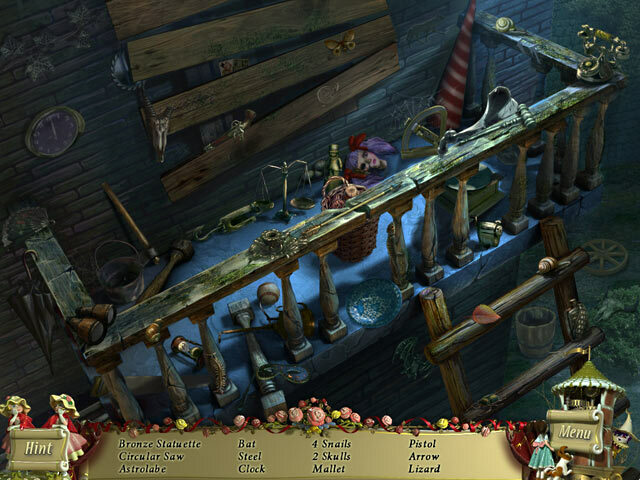 Rated 5 out of 5 by Majestyx12 from Lots of Hidden Objects Very Challenging because you can't use hint except in HO. No Map. I found the puzzles fun but not hard. I like the good old fashion styling. I Loved the décor around the hint and tool fan. I have windows 10 and am amazed how good this worked. No pause in between scenes. Just tried the Puppetshow series this month and Loved the ones I tried. I wanted to go back as far as my PC system would let me. 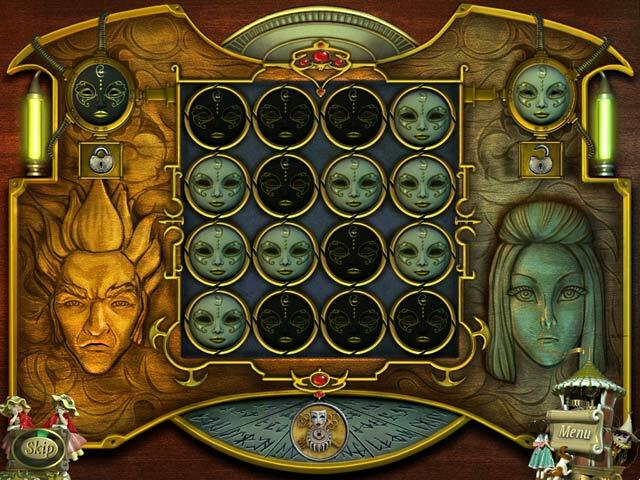 Don't buy for the puzzles, but for the hidden objects because I know there are more than 25. Rated 5 out of 5 by Boomer1097 from Fun Game This game is fun to play and the beginning of the Puppet Show series. You are a detective that has been called to help find a missing boy. It is obvious this is the oldest game in the series, the graphics are more "cartoony" then the newer games, but it is still fun and is an excellent start to the series. The graphics are very nice, the cut scenes are well done (there are no voice overs), the music is not bad (and I usually don't like the music in games). The HOS are nice and some objects are hard to find. The mini games are fun, but not very difficult. There isn't a map or journal, but you don't really need either. This isn't a CE, so no built in SG (but you don't need one). The ending is satisfying and sets up the next game (Souls of the Innocent). This game begins the story of the Puppet Show games. I played the first three games out of order, which is okay, but would have been more enjoyable if I'd played them in order. I highly recommend this game. Rated 5 out of 5 by spiritlaughing from Gotta love the Puppet Show! Totally love all of the Puppet Show series. Quite fun on this one as it looks like it is the oldest one, ie, the first one? I do not know how I ever missed it! Not sure but this is loaded with great graphics, fun puzzles and HOS. Challenge wise not real hard, but very enjoyable if you like a lot of HOscenes. Rated 5 out of 5 by IvanRic from A Classic! This was probably the first HOA game I played way back in the day. I loved it then, and decided to get it again mainly for nostalgic reasons. This game is a little dated compared to others out there, but to me, this is a great classic. I've never played the sequels so I am stoked to finally play them! Graphics are a bit dated, and the puzzles are not very challenging. The music is repetitive, but spooky and really adds to the game. Rated 5 out of 5 by swampie from Having fun with Felicia. Playing my Joyville games again. These games from ERS are the best. Beautiful artwork and fun stories. Rated 5 out of 5 by JustTheFacts from Simple But Elegant Game GAME COMPLETED SEVERAL TIMES What a treat it is to be playing Mystery Of Joyville again. The GRAPHICS are simply beautiful – bright, colourful, exquisitely detailed. Even the ‘ugly’ scenes look wonderful. 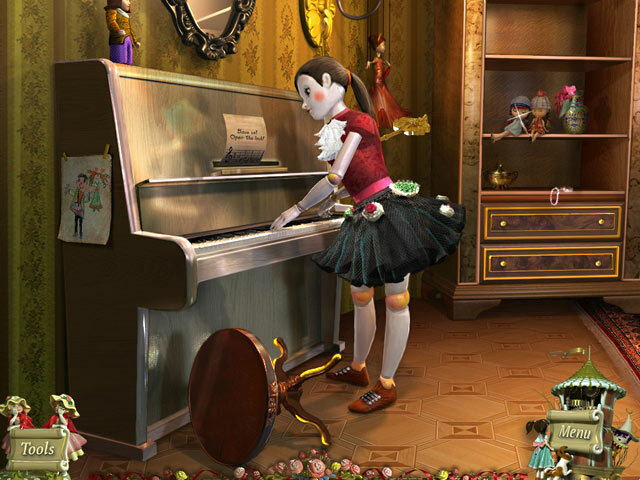 Compared to the later PuppetShow games, Joyville is very simplistic, and very much a HO GAME. There are HOGs everywhere you turn, and each LIST is full of items such as “4 clocks”, so you get to stay put for quite a while. There is some INTERACTION, but it is not indicated on the list, only by sparkles. The PUZZLES were delightfully simple; in a couple of cases I was waiting for the catch! For me to call a puzzle easy, it must be very simple indeed. Some of the appeal of this game is, in fact, its simplicity. The story is simplicity itself. You are asked to investigate the disappearance of a young boy. His family inform of a rash of disappearances from the town that seem to be connected to the old puppet theatre. So you investigate the theatre. I liked that there was NO MAP, NO HINT outside HOGs, NO VOICEOVERS, NO VIDEO CUTSCENES. I’m not saying I’d want all games to go back to that quieter game style, but it is nice for a change. I also love the way animation is implied by a series of stills. I got a real buzz out of replaying this little gem. Rated 5 out of 5 by rugspot from Hooked!!!! When I played free for an hour, really did not like it. Then I bought one and, that was it. The HO'S clear easy to find but not really all of them. I liked that. No hints on the regular game it, makes you use you brains. I purchased a CE there you can get a lot of help. I like that some time. Enjoy don't be hesitant. Like me. Rated 5 out of 5 by sapoe from super! Just two words, LOVE IT! I played this one when it first out and never give a review. So yes, I really enjoy and having fun playing this game from beginning 'til the end. All of this series, is on my favorite list games I ever played. Thanks you ers and good job! As always, I adore your graphics.